I think it is safe to say that we are waving goodbye to Autumn very quick and seeing in Winter with the recent drop in temperature, the beautiful colours may be disappearing but it doesn't mean to say we have to stop rocking them on our lips. 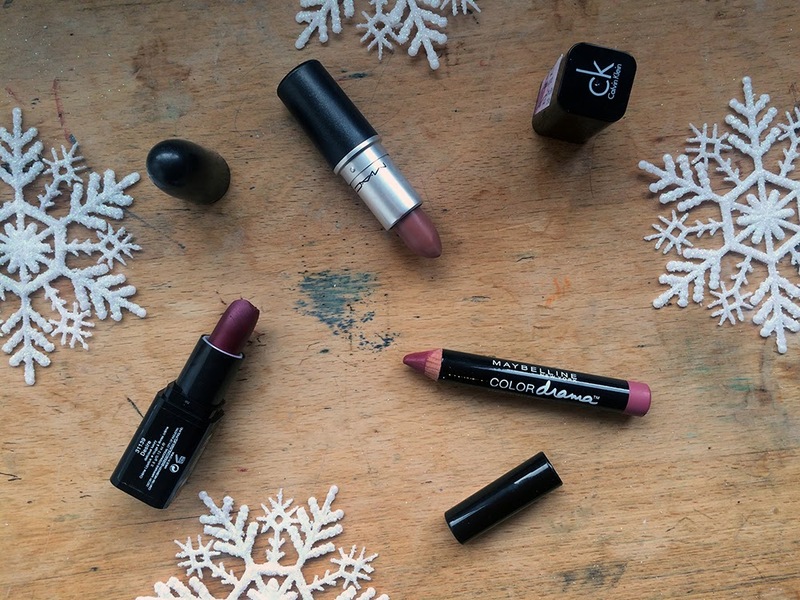 Warm red, berry and purple lip shades create that classic, sophisticated and glamorous party season look and why not just wear this throughout winter not just the two festive weeks of December. I have put together a few different lip products and shades (which are only ever so slightly different) that I am loving at the moment, they differentiate with the textures too... matte creates a vamp look and the satin gives that girly feel and look. 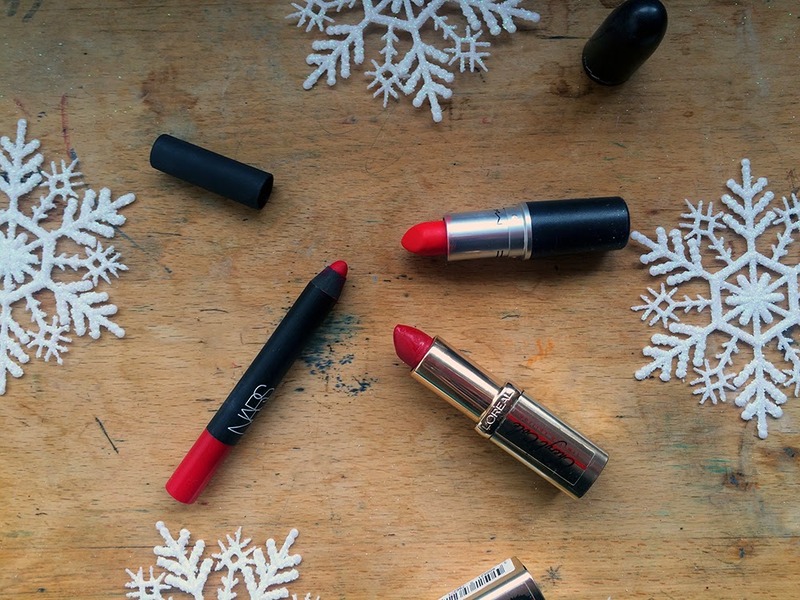 I'd love to hear which shades you and brands you are loving at the moment. 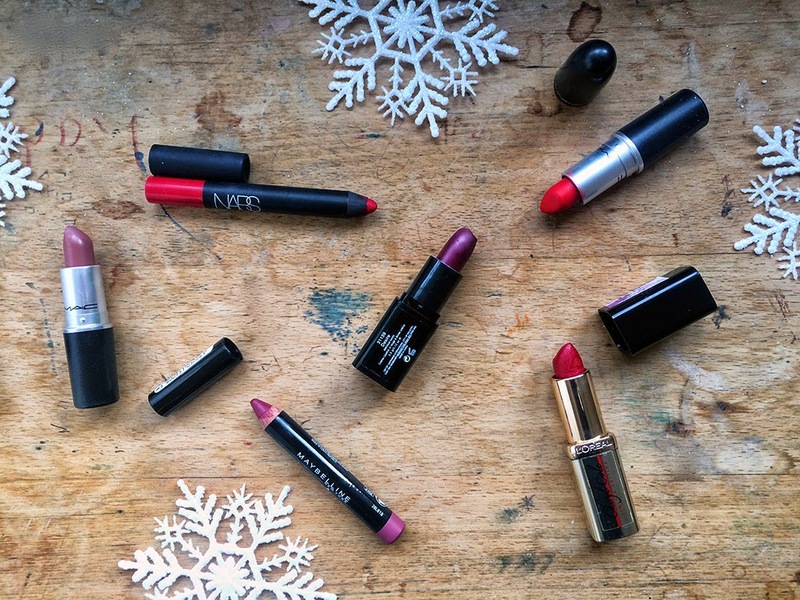 You have gorgeous products - I'd love to try the NARS ones! These all look so great next to each other! I love Autumn lip shades! I need treat myself to another dark MAC lipstick, I'm loving 'Up the Amp' at the moment though. And I can't get enough of the Maybelline color drama pencils!